There is a great majority of people who think that winter is not the best time to shop for a home. Contrary to popular assumption however, buying a home over the winter months may, in fact, be something worth considering. Sure, there might arguably be less homes for you to choose from, but the sellers might also be more motivated – playing to your advantage. You see it’s likely that, “the sellers will want to get the deal closed, especially for tax purposes. It’s the end of the year and they want to tie up loose ends. This is an advantage for buyers, especially if there are points to negotiate”. What’s more is that a smaller selection of homes to choose from can save you and your family a lot of time, allowing for you to find a home you love much sooner. According to Realtor.com, “it may be simpler to view the handful of homes that are for sale in the winter and choose the one that best suits your needs”. In addition to having a smaller selection of homes, there are also less buyers – leaving you with much less competition. What a lot of winter buyers might also tell you is that by shopping for a home in the off-season, you’re able to gain full insight into how your future potential home will hold up in the colder months. It goes without saying that there are homes out there that tend to weaken in the cold – depending, of course, on the age of the home, the location of the home, and/or the build of the home among other factors. It’s best to check for cold drafts, functioning heat and water systems, as well as the quality of windows and weather stripping. 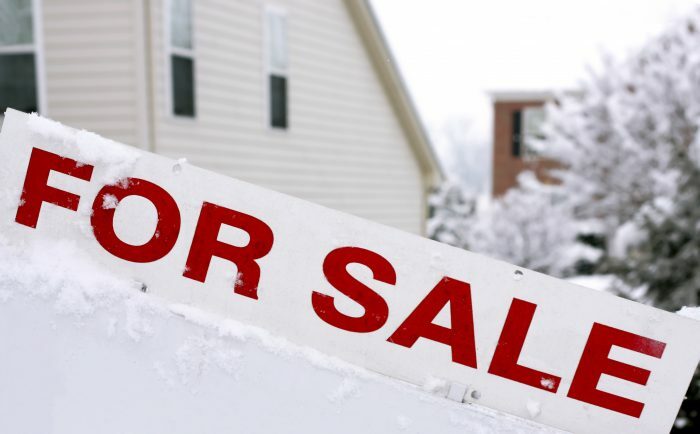 Buying a home in the winter time might be favourable to you and your family. Though most of us may prefer to shop when the trees are in full bloom and the yards are trimmed and at their finest, a winter wonderland that’s filled with snow and decorated festively could also leave you feeling inspired. So perhaps treat yourself and your family this Christmas by buying yourselves the home of your dreams! The post The Perks of Buying a Home in the Winter appeared first on Team Realty.